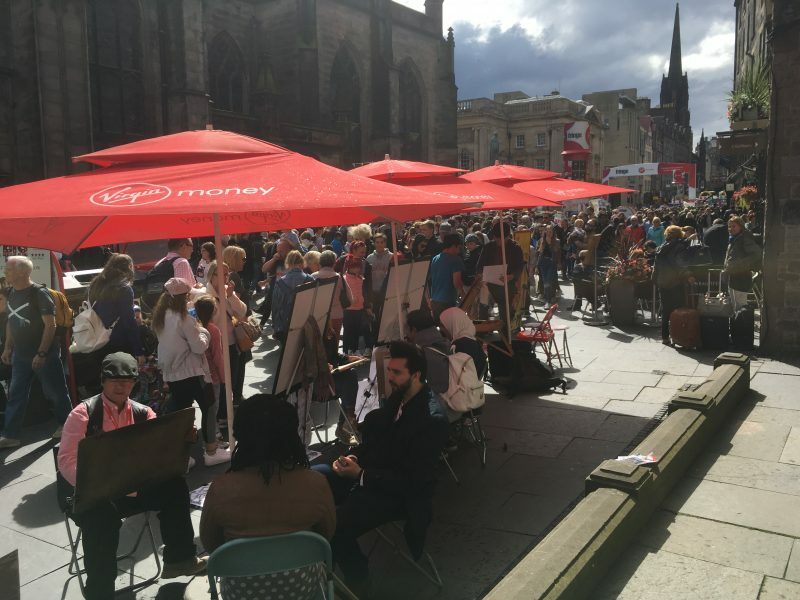 Edinburgh in August is a busy place…….A very busy place. 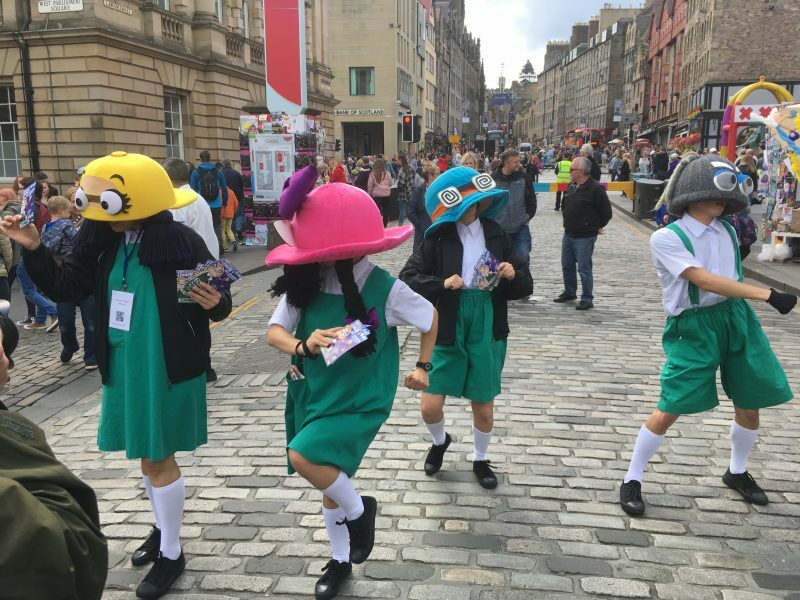 It is when the Edinburgh Festivals take a grip on the city. 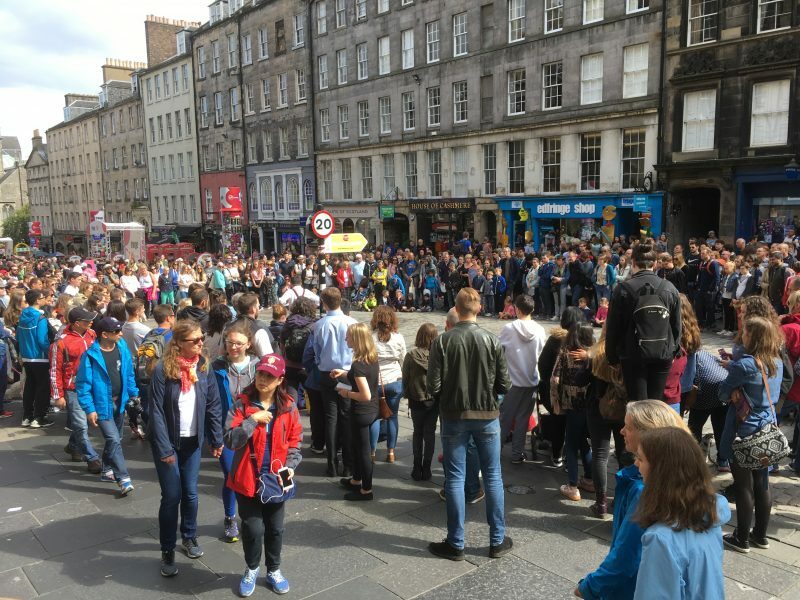 Where locals, performers and visitors alike are squeezed into our theatres, halls, pubs, restaurants and streets and it seems like half the world is here. 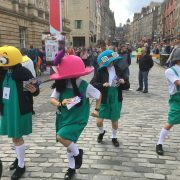 The Festivals are the third largest ticketed event in the world, after the Olympic Games and World Cup Football (Soccer) competitions. 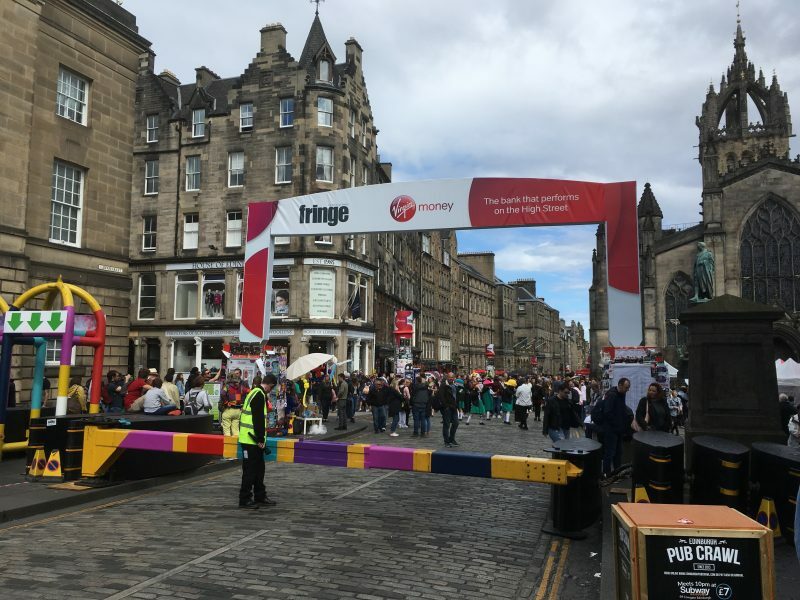 Last year alone, the Fringe Festival had over 50,000 performances. 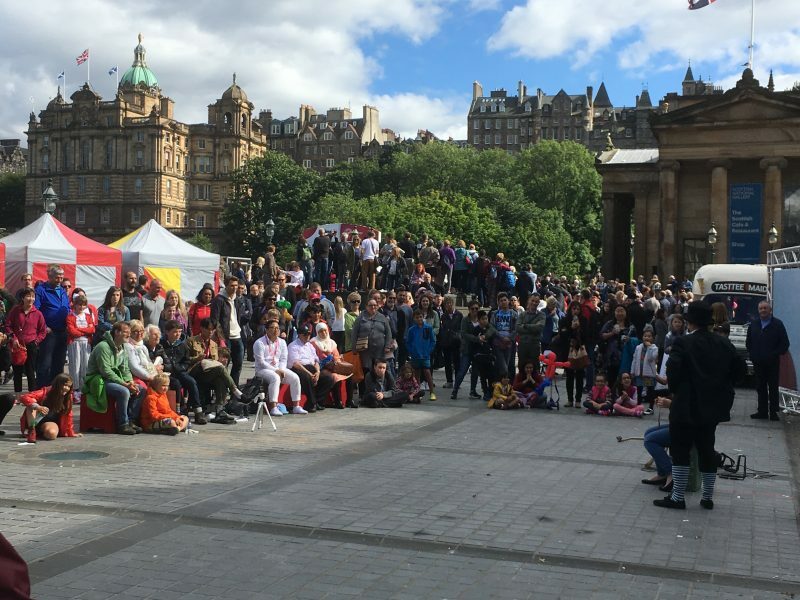 Add to this the Official Edinburgh Festival, Arts Festival, Book Festival, Television Festival and others and the ticket sales grow and grow. This in a city with a population of under 500,000. 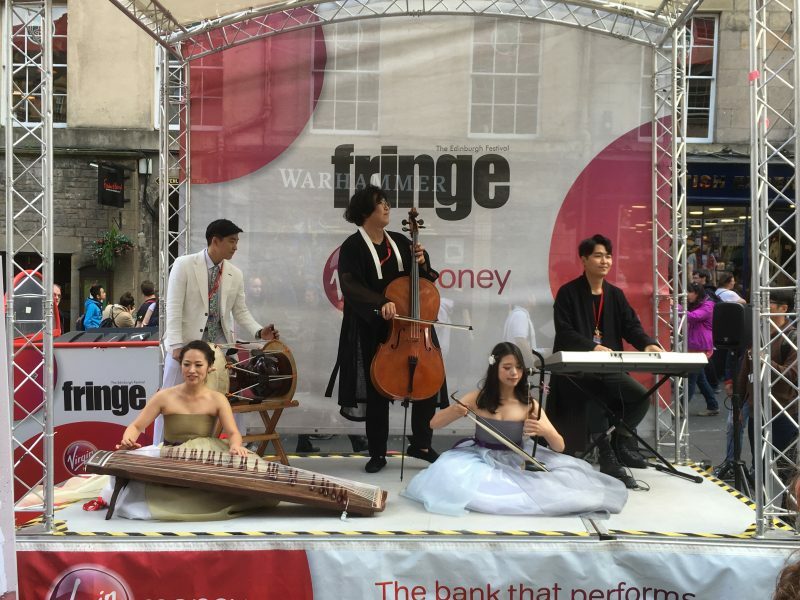 And it is also great fun……. Security Barriers very much in evidence this year. And then the madness…. It really can get too much. 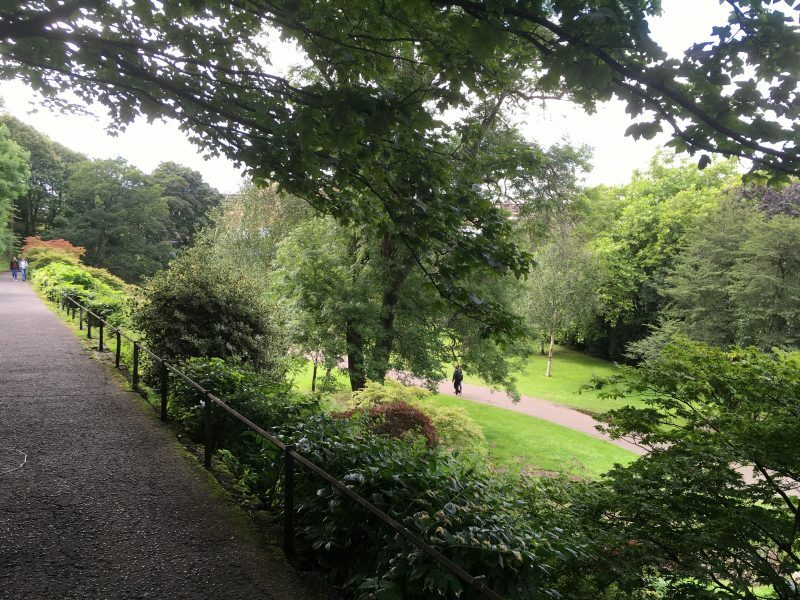 It’s as well then that Edinburgh Walks guides are aware of places to go for a bit of peace and quiet, for sober reflection even, away from the very busy streets. 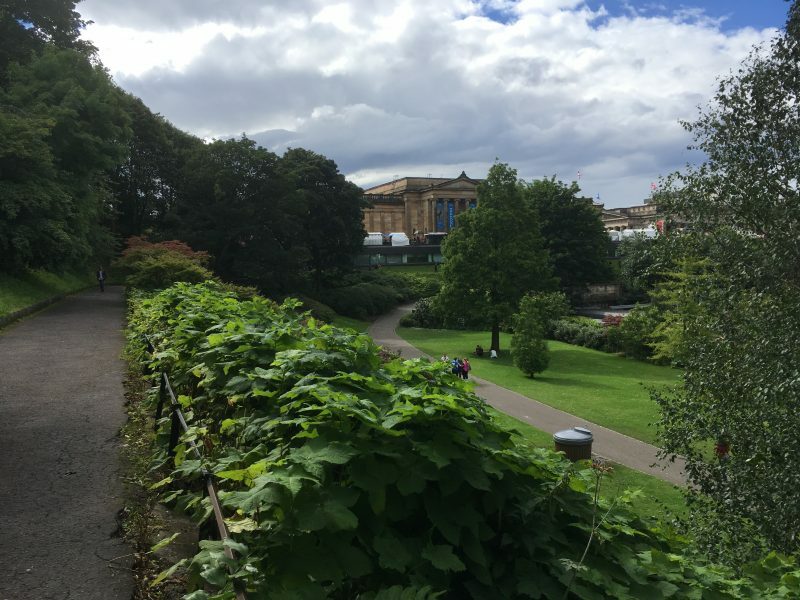 Just 1-3 minutes from the artists, musicians and performers are places of tranquility, like (South East) Princes Street Gardens where you can take a picnic and chill, re-charge your batteries and head out again to take in some more cultural highlights. Not much going on down here. 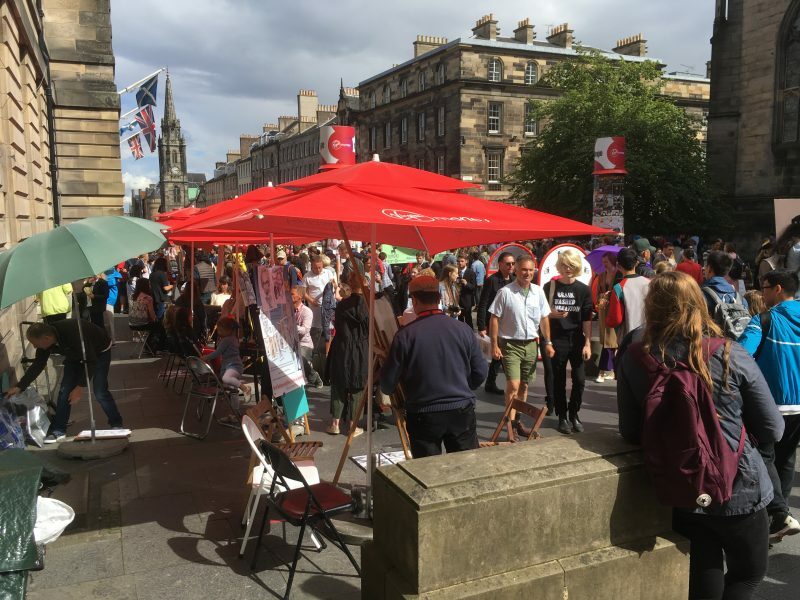 Within sight of some of the performance areas.